Whilst no specific program will be organized for accompanying persons, the Radisson Blu Hotel Concièrge or the local tourist office offer a very wide range of tours, visits, excursions and activities. Accompanying Persons are therefore encouraged to make use of these facilities, and to plan their own schedule. The Radisson Blu Hotel is located in the city center. Accompanying persons are welcome to attend the Receptions on the Wednesday and Thursday evenings, and are also welcome to participate in the visit on the Thursday. We kindly ask you to let us know if your accompanying person will attend the Receptions and the visit (on your registration form). a taxi costs approximately 90 RON. take bus no. 783 to Piata Romana, from where it is a 5 minute walk along Str. George Enescu near McDonalds. The ticket costs 7 RON and is valid for 2 journeys. Only one ticket is needed. private vehicle transfer service between the airport and the Radisson Blu Hotel. Reservations must be made in advance for this service, which costs 85 RON one way. At the airport, shuttle drivers will wait in front of the Information Office inside the Arrivals Terminal with a name board. At the hotel, shuttle drivers will wait at the hotel reception to take the passengers back to the airport. To book the shuttle service, please send your name, number of passengers and full flight details to this e-mail address. For delegates arriving at the main Railway Station, the journey by taxi takes about 10 minutes (5 km) and costs approximately 25 RON (please note that the price per km may vary). 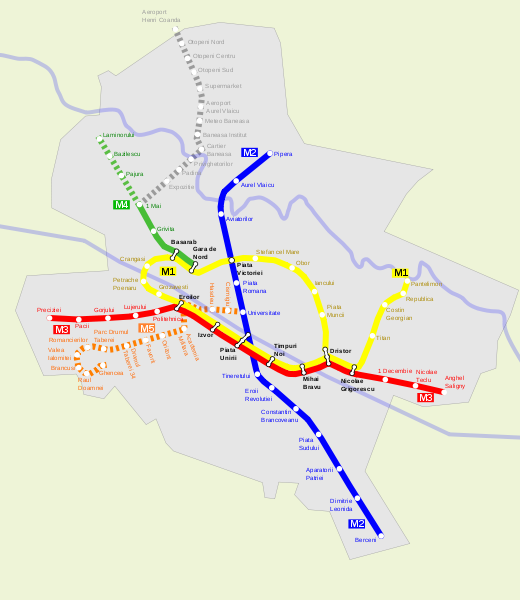 For travel within Bucharest, a subway map can be downloaded here. The city of Bucharest experiences a humid continental climate with warm summers and windy winters. In summer, the average temperature is approximately 23 °C (the average for July and August), despite the fact that temperatures frequently reach 35 °C to 40 °C in mid-summer in the city centre. Although average precipitation and humidity during the summer are low, there are occasional heavy storms. During the spring and autumn, average daytime temperatures vary between 17 °C to 22 °C, and precipitation during this time tends to be higher than in the summer, with more frequent yet milder periods of rain. The currency is the Romanian Leu (RON). Visitors can change foreign currency at banks, bureaux de change or at most hotels. The easiest currencies to exchange are Euros, US Dollars and Pounds Sterling. Travellers Cheques are accepted in some places; many hotels, travel agencies, and restaurants accept all the major credit cards. Most banks are equipped to advance cash on credit cards. There are no restrictions on the amount of foreign currency that can be brought into Romania. The electricity supply in Romania is 230 V, 50 Hz. 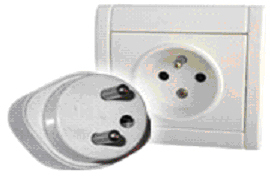 The Type E socket is used (standard in most EU countries). The Type E electrical plug is identified by two round pins spaced 19 mm apart, with a hole for the socket’s male grounding pin. Type E outlets will also accept Type C plugs, and Type E plugs will also work in Type F outlets. There will be free internet access in the Radisson Blu Hotel lobby, in all guest rooms, and in the meeting room. A limited number of PCs with internet access will be available in the meeting room. The Conference and CIML Meeting will be conducted in French and in English with simultaneous interpretation. On an experimantal basis, interpretation will also be provided from English to Spanish. Lunch will be served on Tuesday, Wednesday, Thursday and Friday. Morning refreshments will be served on Monday, Tuesday, Thursday and Friday, and afternoon refreshments will be served Monday through Wednesday. Delegates should please note that no paper documents will be available for the CIML Meeting; all the CIML Meeting documents will be made available for download via the CIML Meeting Agenda page. Paper documents will be provided for the Conference and electronic documents will be made available for download via the Conference page. a Romanian Government Reception on the Thursday evening. More information will be given during the week of the meetings. Bucharest standard time is UTC + 2 hours. Daylight saving time is +1 hour, making a total current time zone offset of UTC + 3 hours. Local time, and various other information concerning Bucharest (and indeed all other cities in the world) can be found at the World Time and Date web site. Tipping is not mandatory in Romania, although guides, drivers, waiters and hotel staff can be tipped at your discretion if you feel the level of service provided warrants a tip. Generally 10 % is the amount given as a tip for example to taxi drivers and waiters/waitresses.